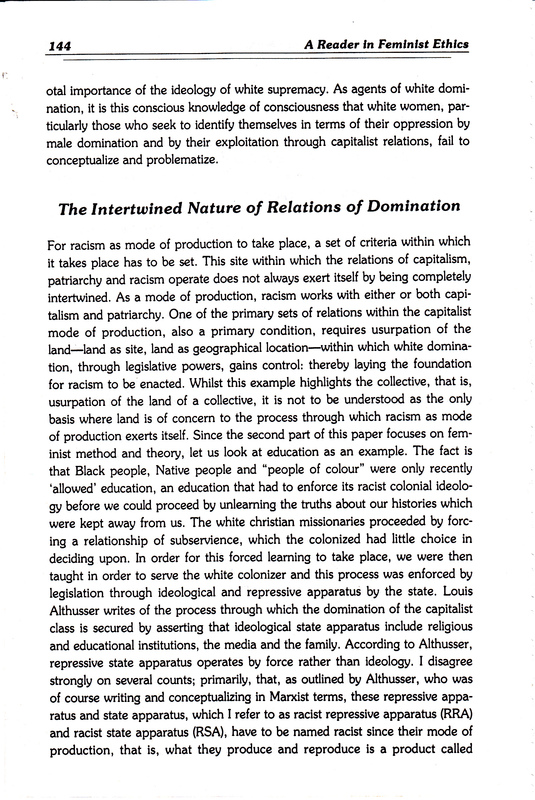 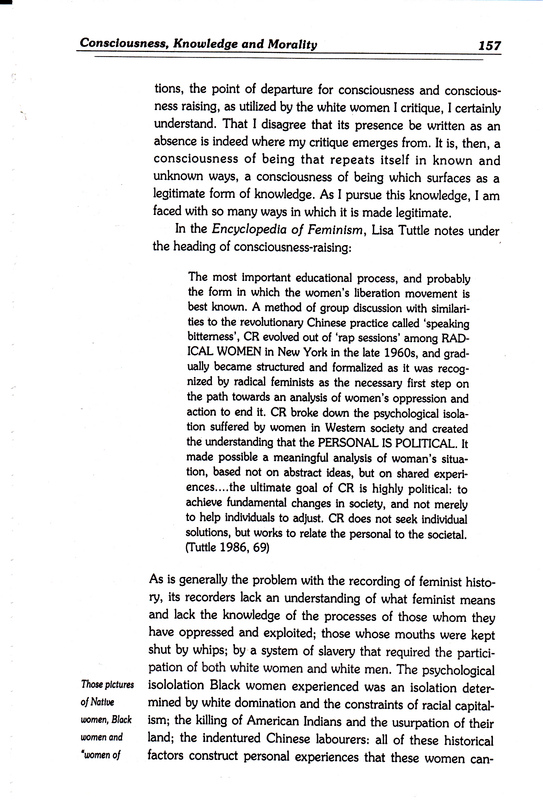 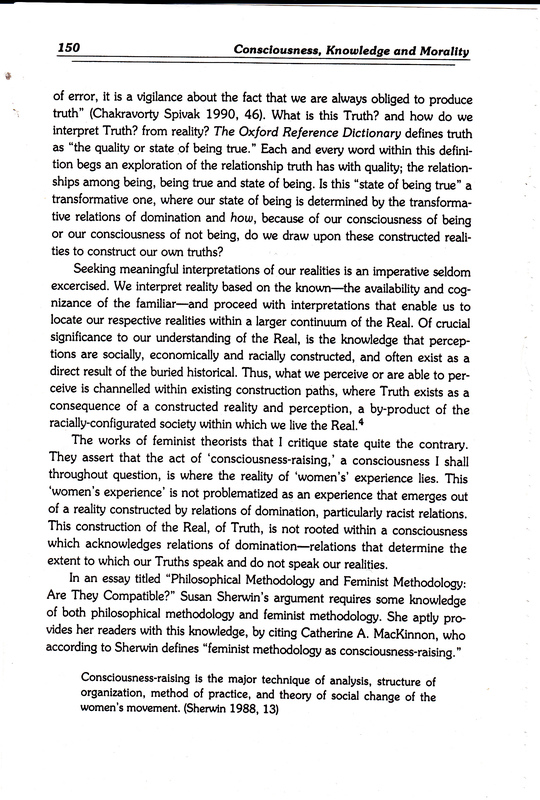 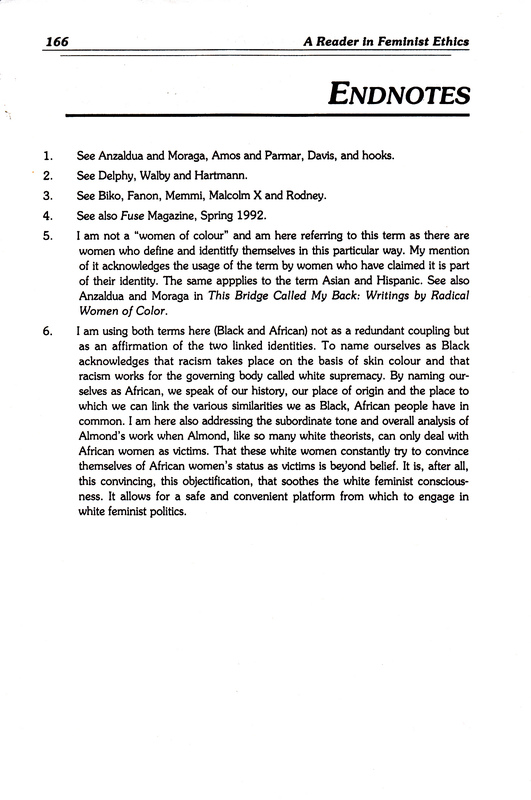 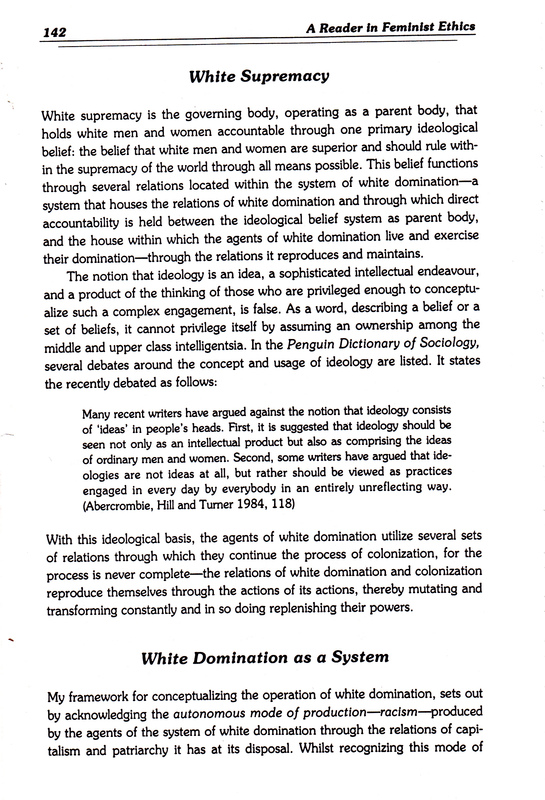 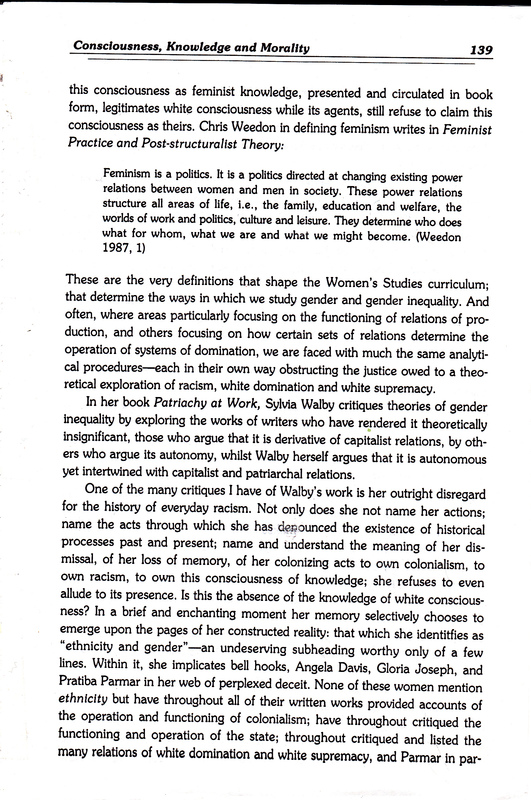 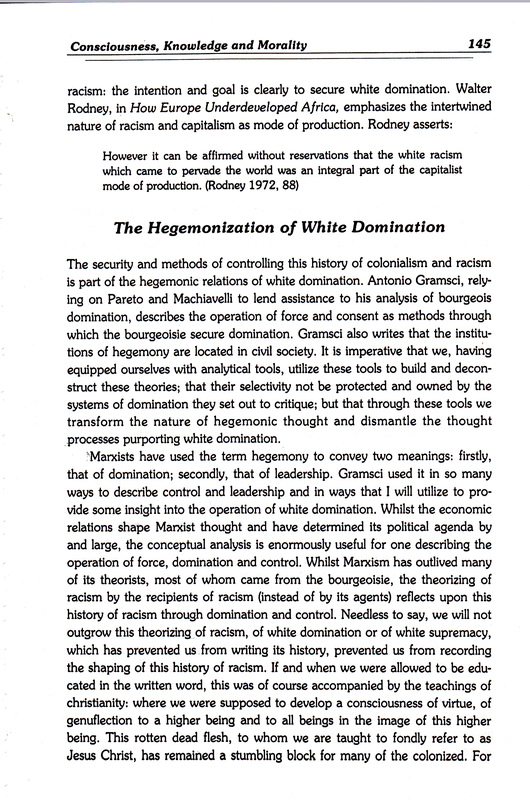 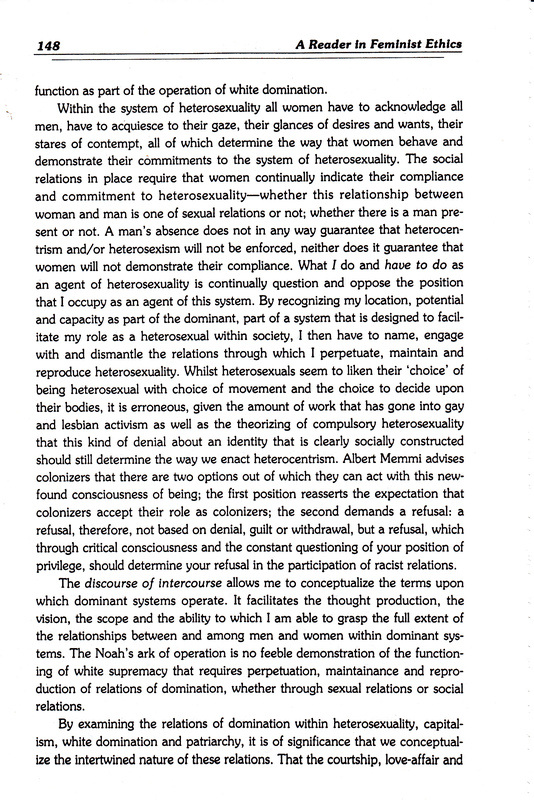 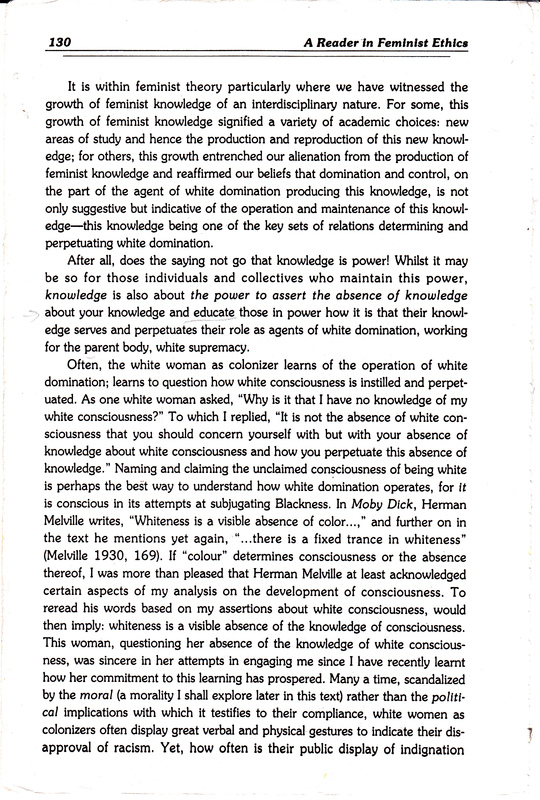 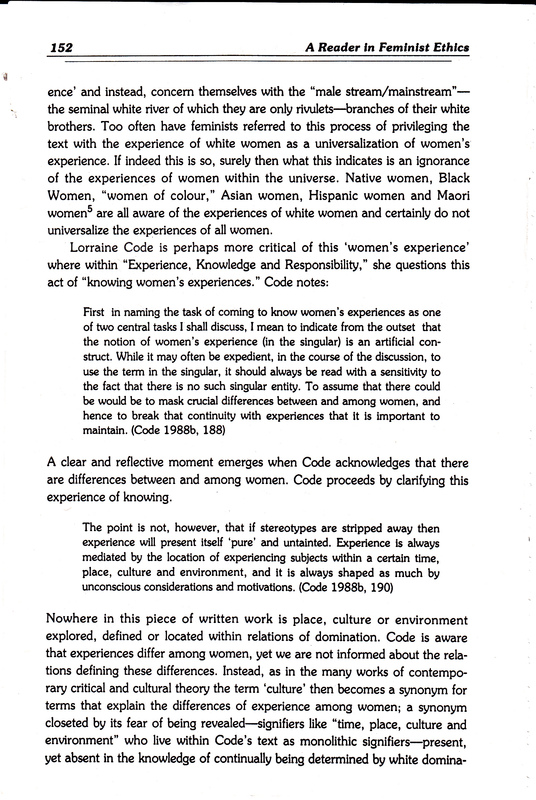 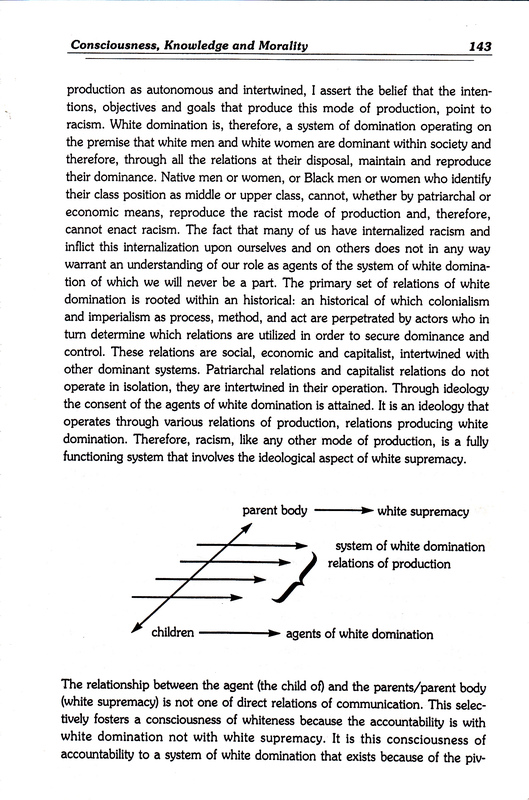 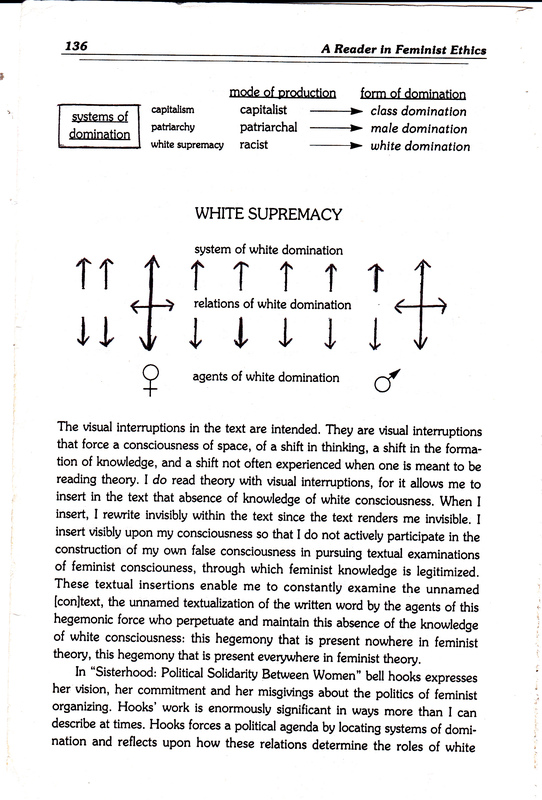 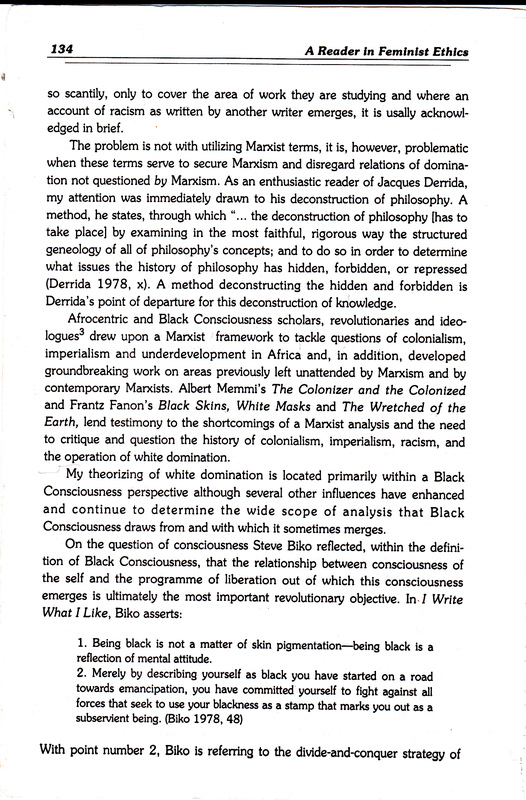 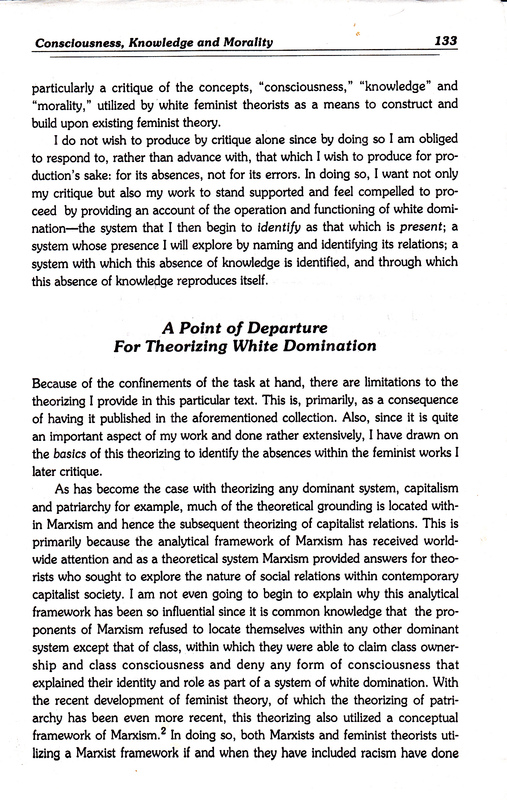 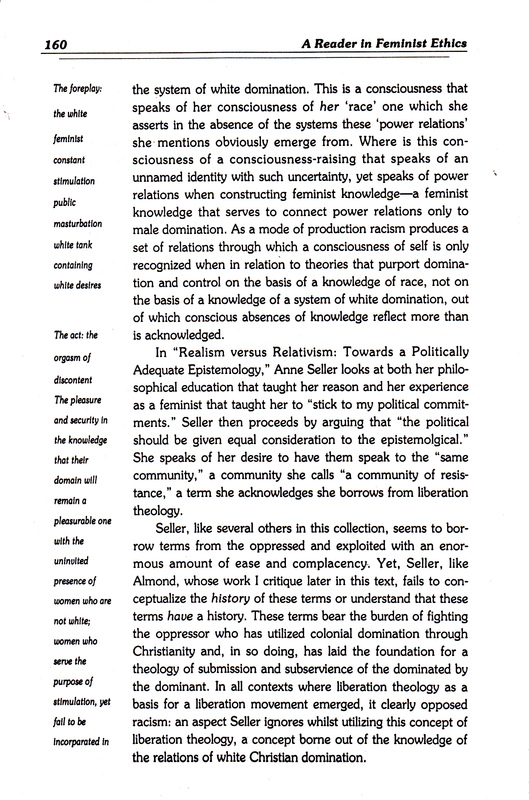 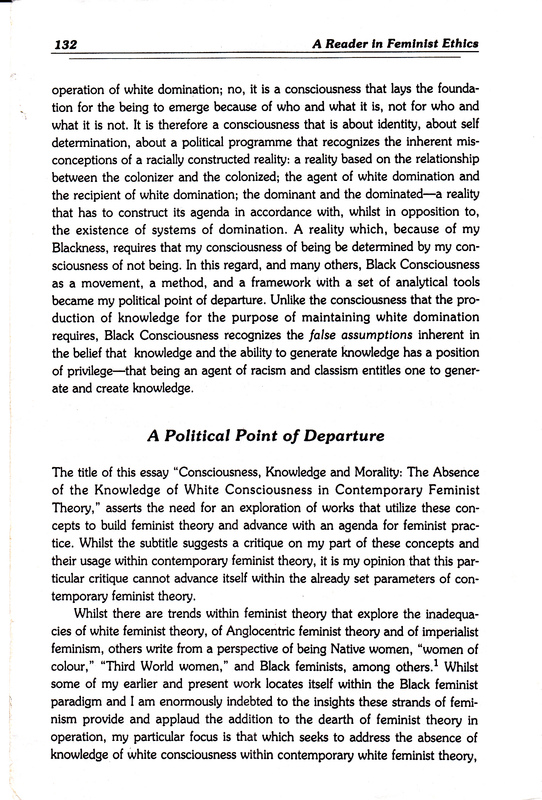 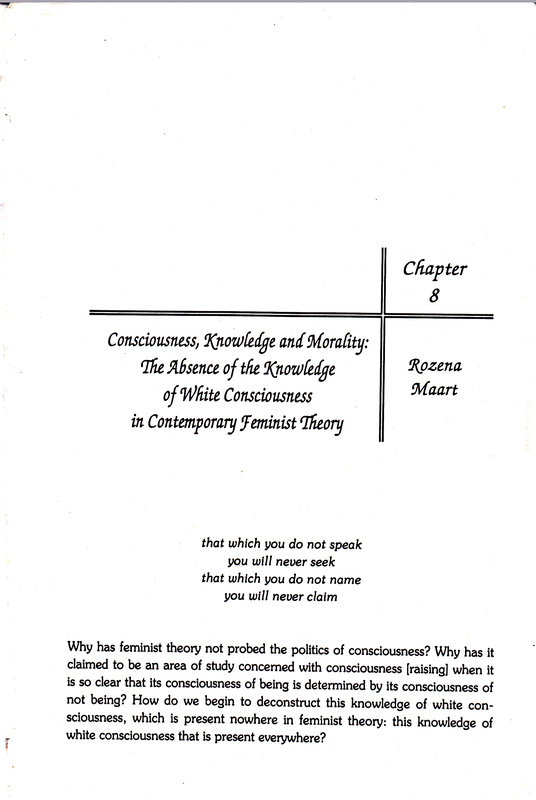 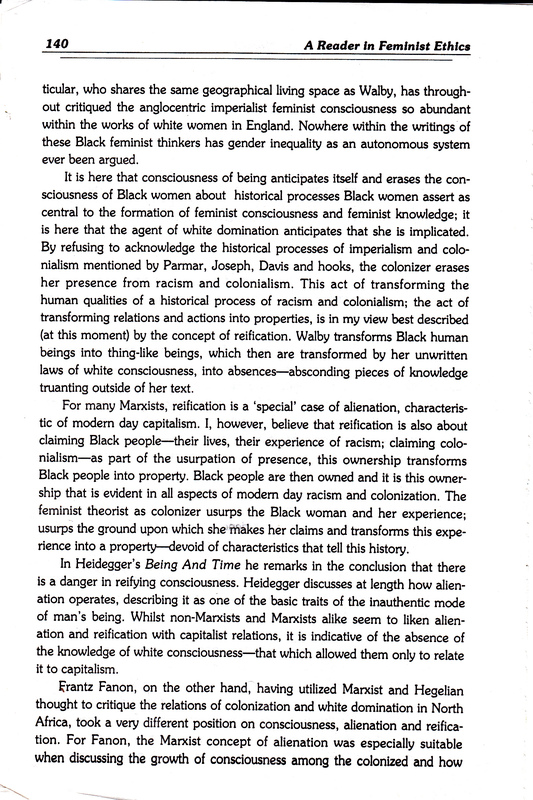 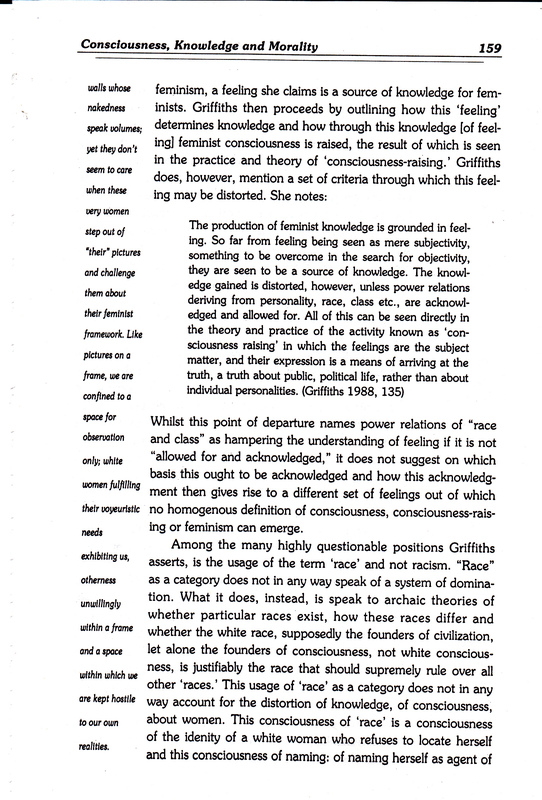 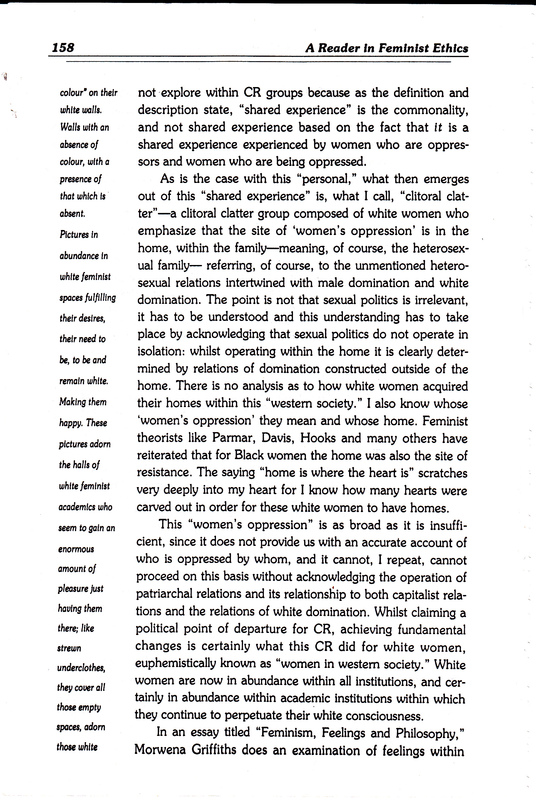 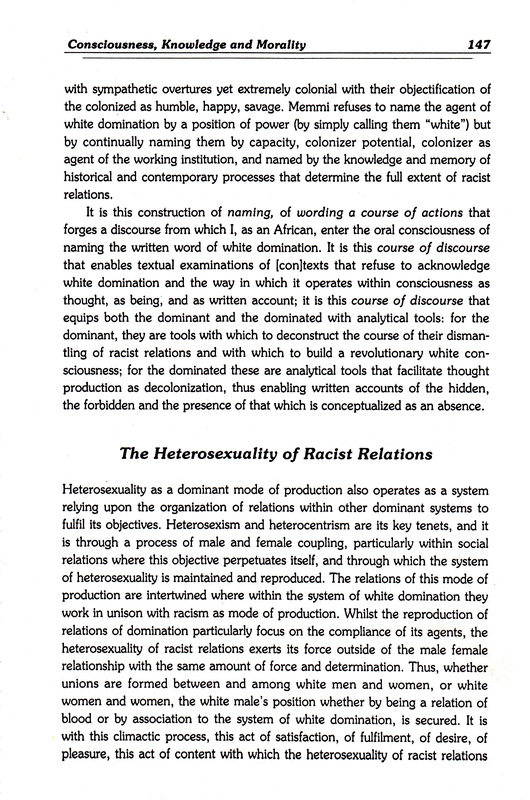 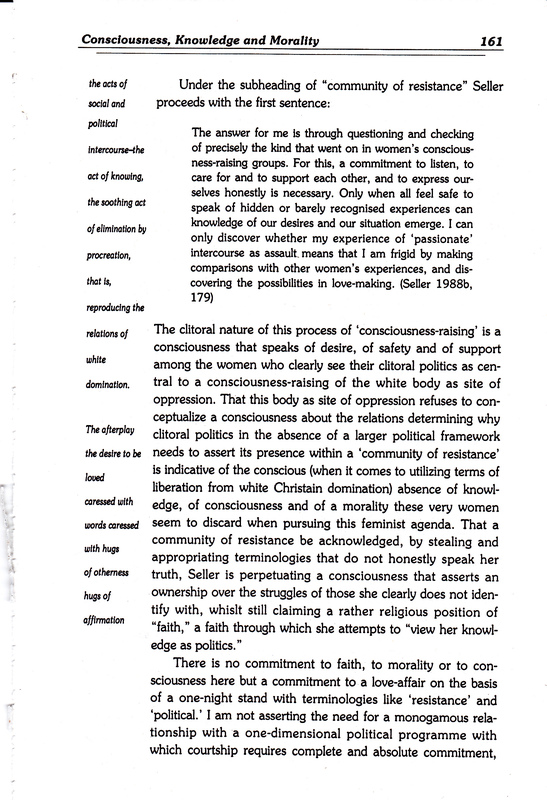 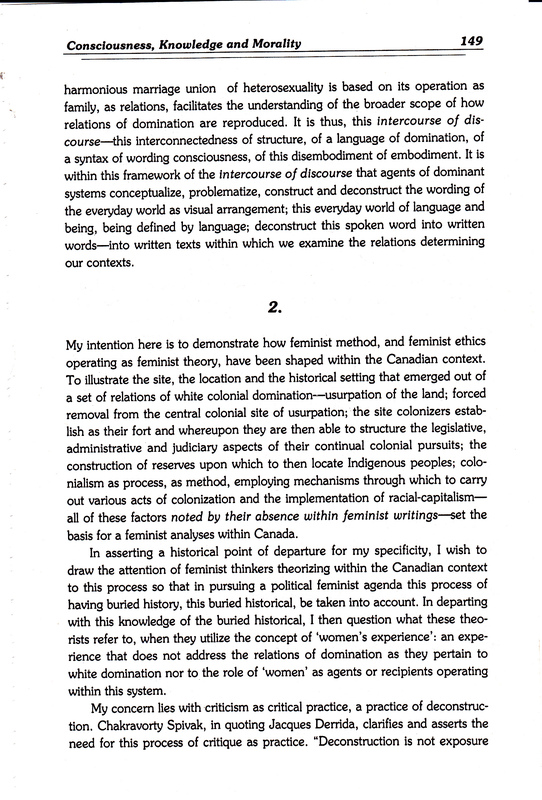 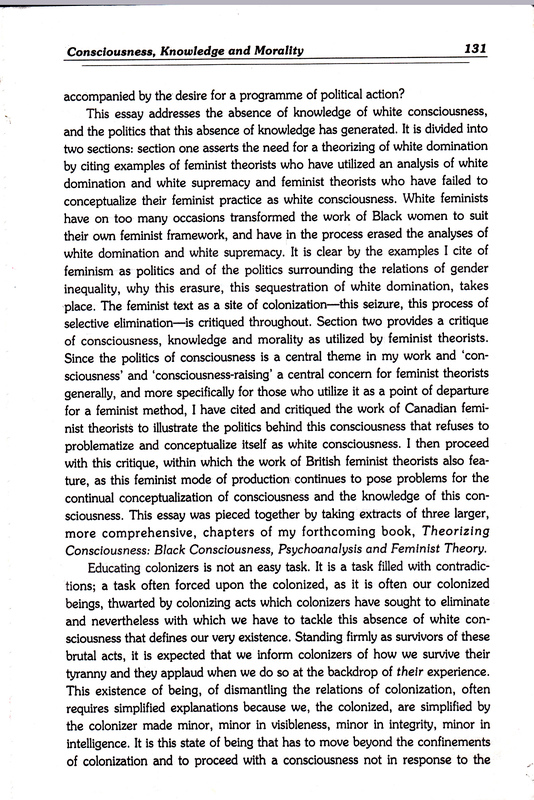 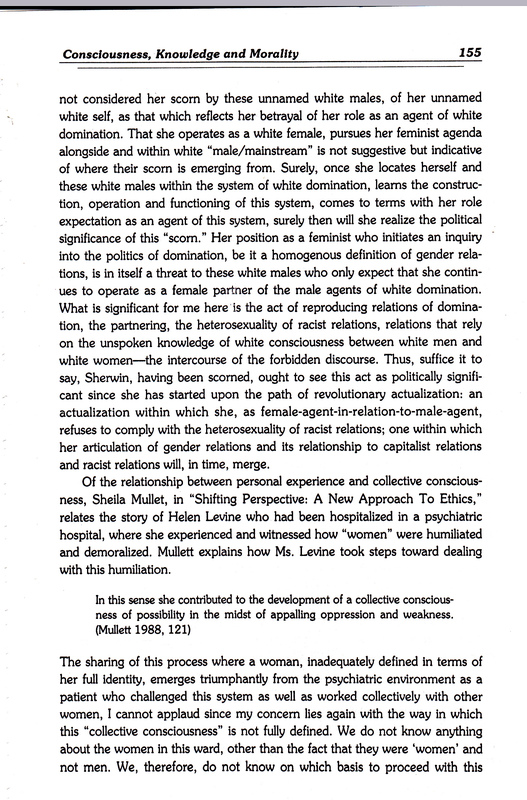 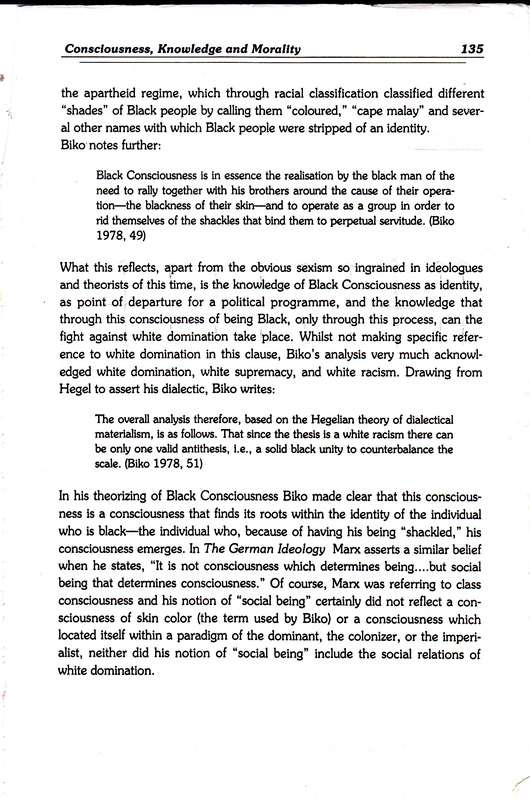 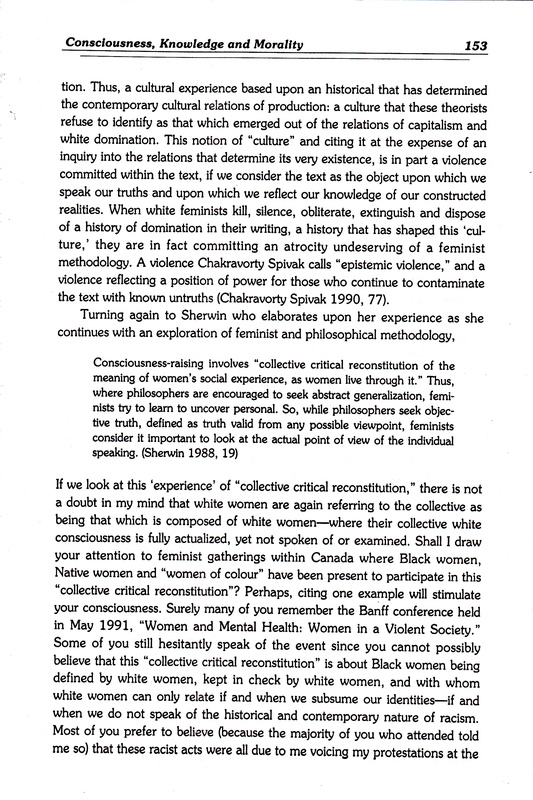 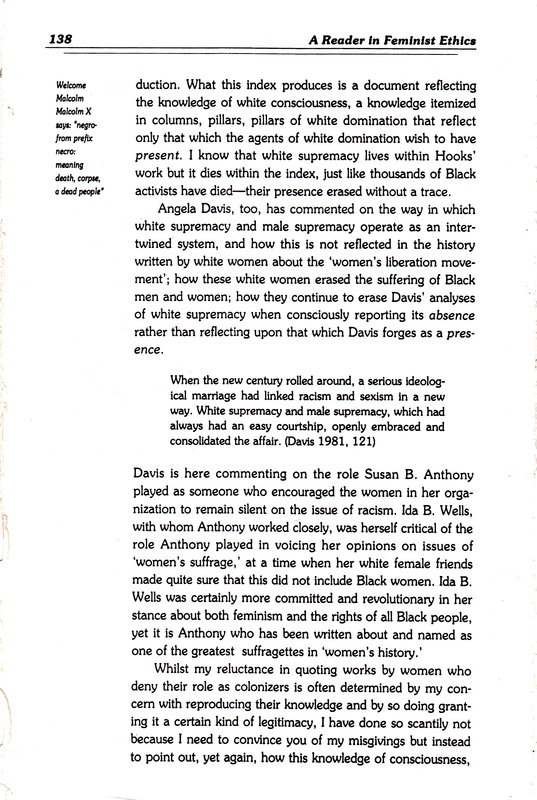 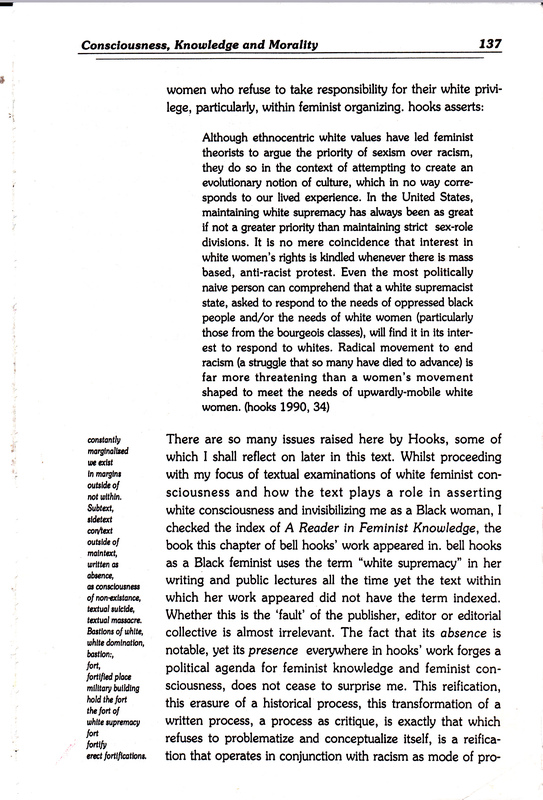 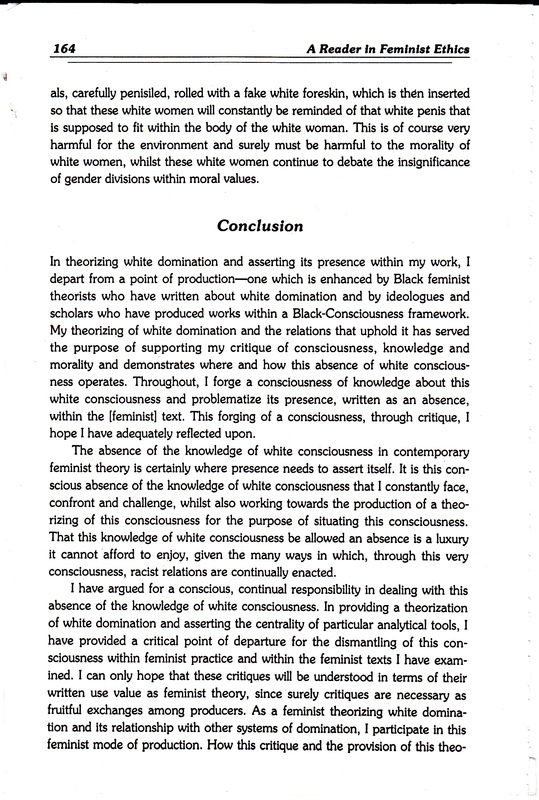 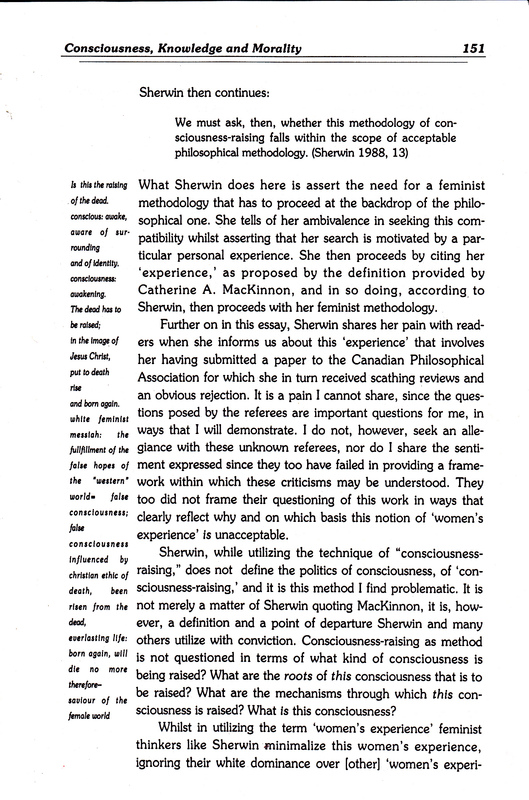 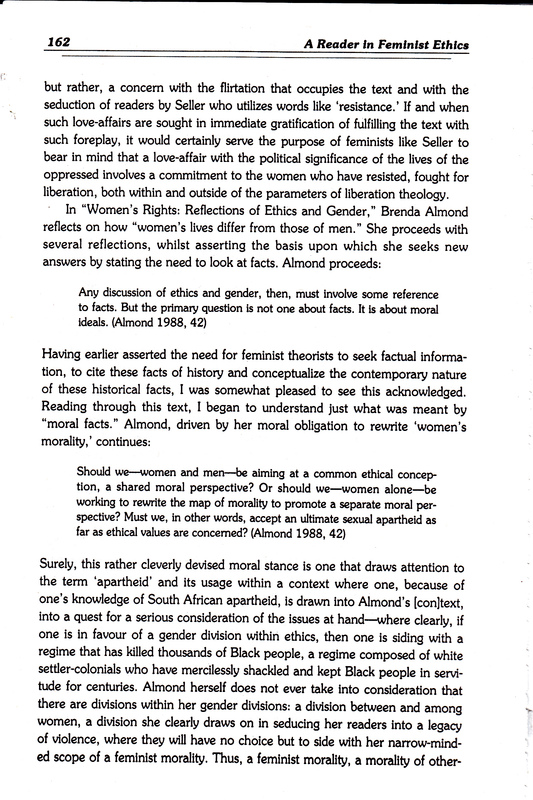 This essay, “Consciousness, Knowledge and Morality: The Absence of the Knowledge of White Consciousness in Contemporary Feminist Theory,” was published in 1992, in A READER IN FEMINIST ETHICS, edited by Debra Shogan, prior to the commencement of my Phd. 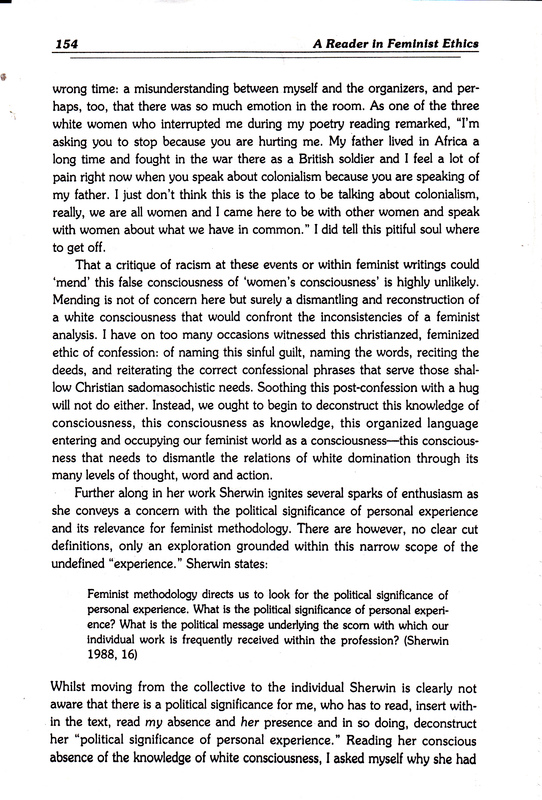 I was pregnant when I was approached to write an essay for this collection, some of which incorporates the admission on the part of the editor that she wanted to “include essays by women who had been marginalized.” My daughter is starting University in September, and it seems like very little has changed. 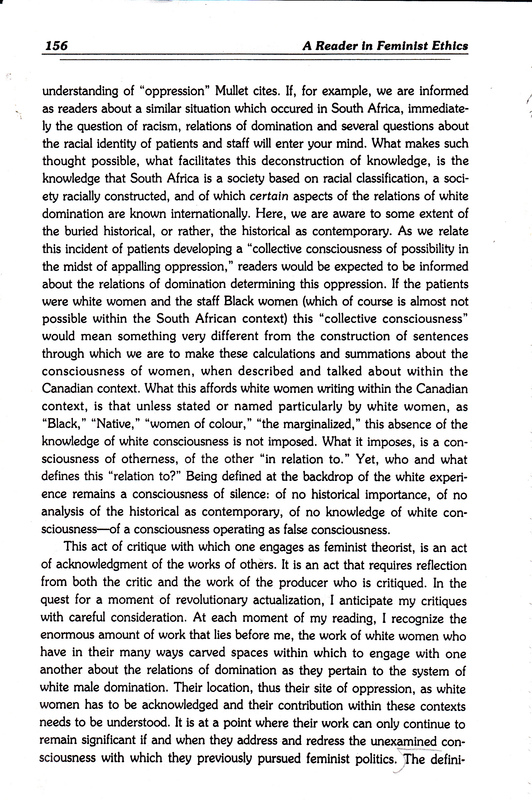 I have posted this essay here, which I will remove shortly, as friends and colleagues have asked after it due to the fact that it is currently out of print. 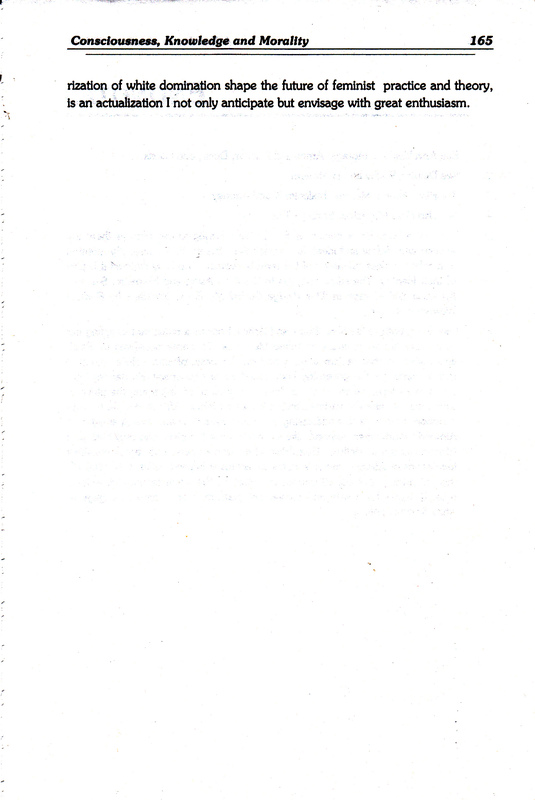 Feb.2012. 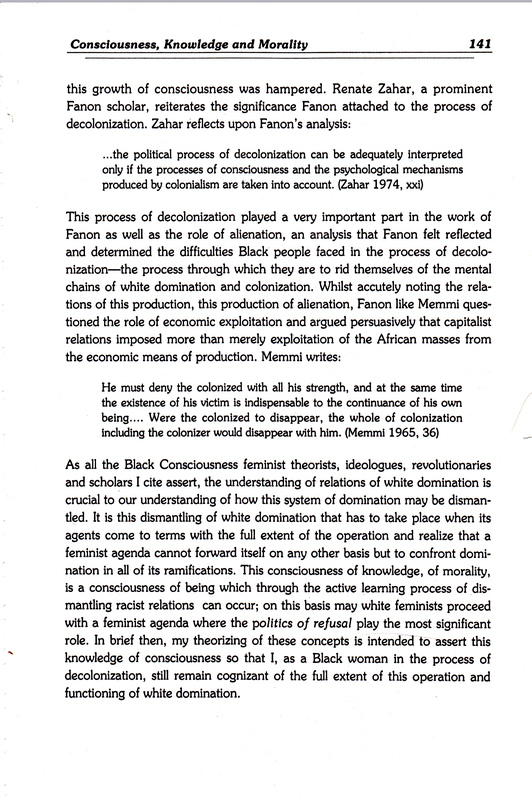 Durban, South Africa. 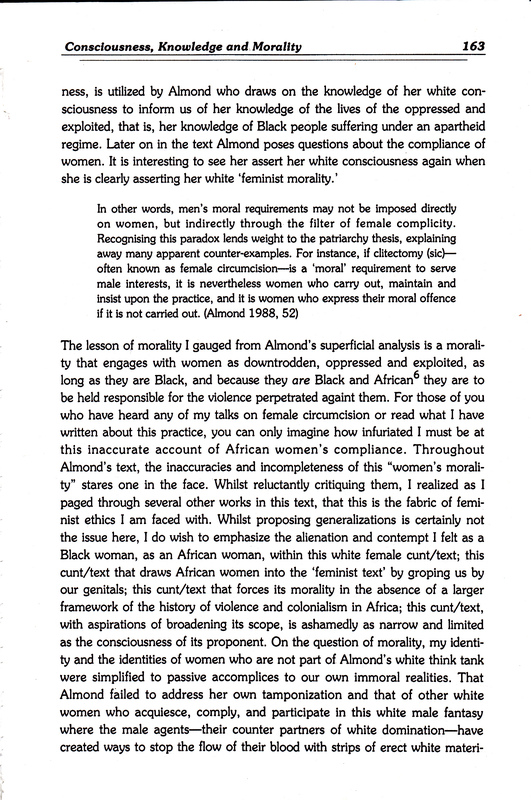 Having removed the essay, I have uploaded it again as several of my colleagues, former and present students have asked me to post it again.